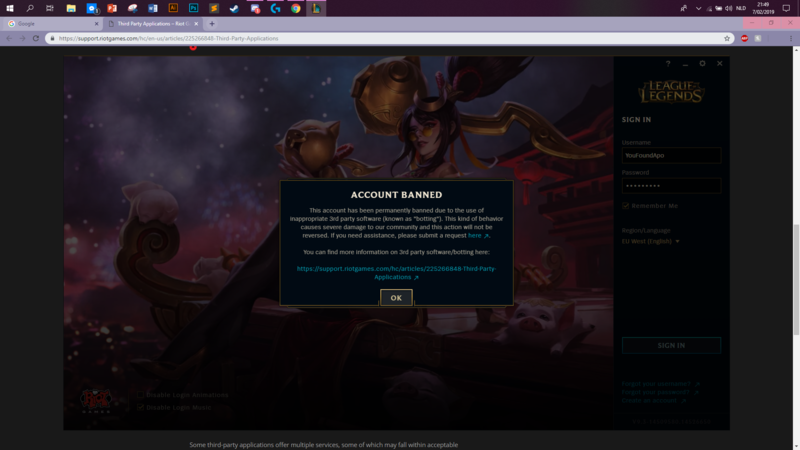 Friend got banned for 3rd party programming without doing so. My friend YouFoundApo has been banned for third party programming. He is lvl 20 and does not want to start over again. League says that he is using third party programs but he never did he is even bad at the game. Can we do something so they can change it back?